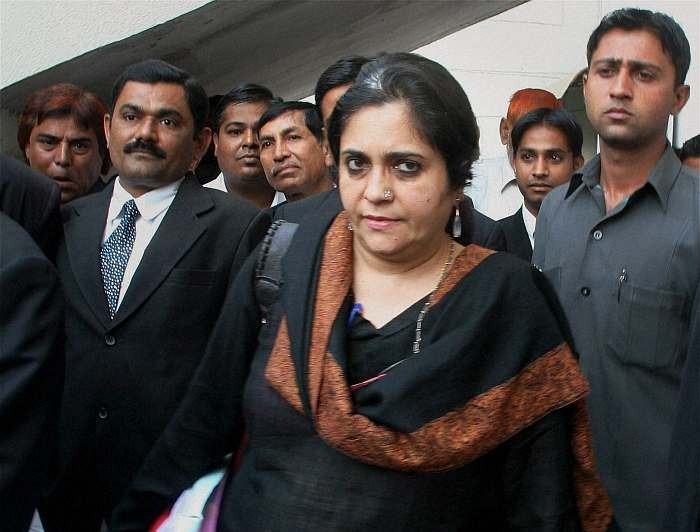 Social activist Teesta Setalvad and her husband Javed Anand today appeared before the city Crime Branch to record their statements in a case of alleged misappropriation of funds received by her NGO from the Union HRD Ministry between 2010 and 2013. Setalvad and Anand were questioned by police officials for almost six hours at the Crime Branch headquarter here, said Assistant Commissioner of Police C N Rajput. The couple also submitted some documents as demanded by the Crime Branch for the purpose of probe, he said. "We recorded their statements today. While they have submitted some documents, they assured that remaining documents will be given later. We may call them again if needed," said Rajput. When asked if the Crime Branch would probe Congress leader Kapil Sibal's role in the case (as he was the Union HRD minister at the relevant time), Rajput said they have not found any involvement of the Congress leader so far. Yesterday, the Bombay High Court, while allowing Setalvad and Anand's `transit anticipatory bail' plea, had asked them to appear before the Ahmedabad Crime Branch today. The Crime Branch registered a complaint against Setalvad and Anand last month, alleging that they used fraudulent means to secure funds of Rs 1.4 crore from the Union Human Resource Development Ministry between 2010 and 2013 through their NGO Sabrang Trust. The case was registered against Setalvad and Anand under various sections, including 403 (dishonest misappropriation of property), 406 (criminal breach of trust), and 409 (criminal breach of trust by public servant, or by banker, merchant or agent) of the Indian Penal Code.